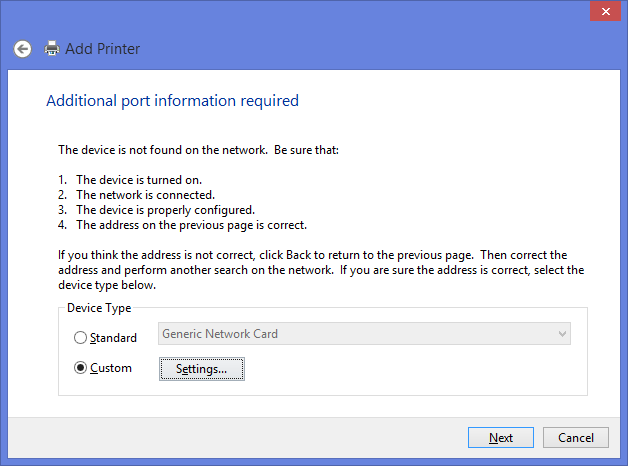 First prepare all your hardware is already in place and already connected. 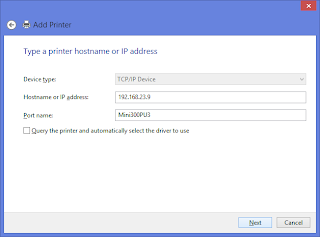 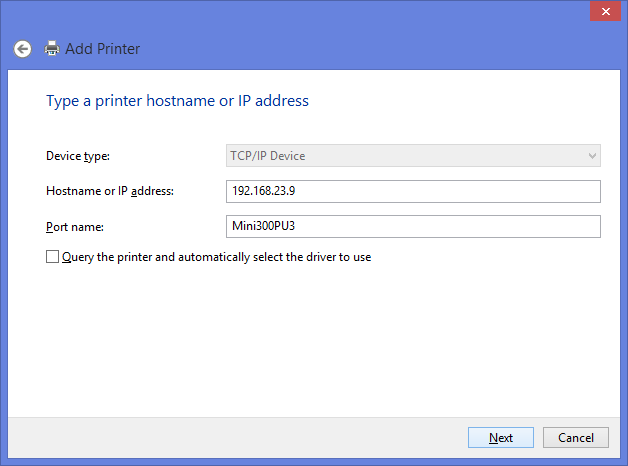 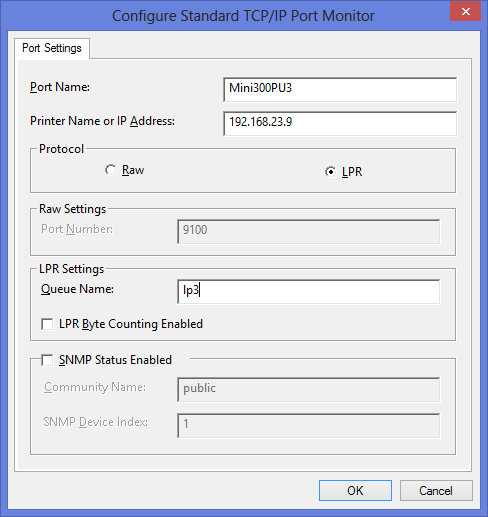 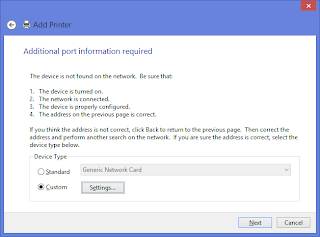 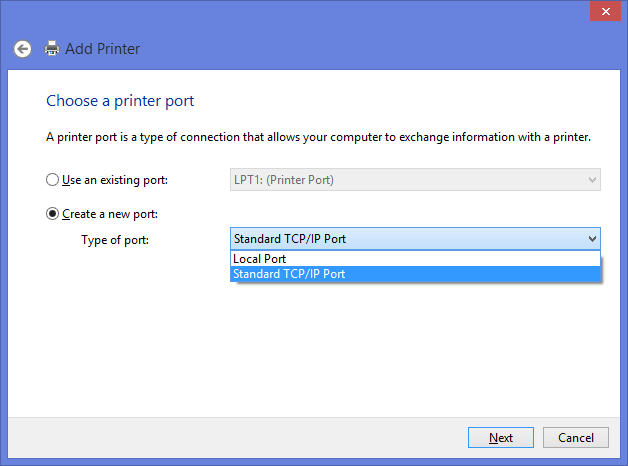 Make sure you already assign IP address on your print server Mini-300PU. 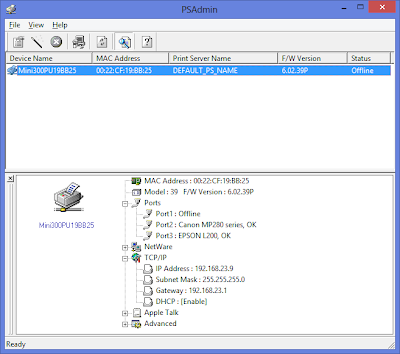 You can configure static or dynamic IP address using PSAdmin application, this apps usually comes with the CD when you buy Mini-300PU, or you can download it here. 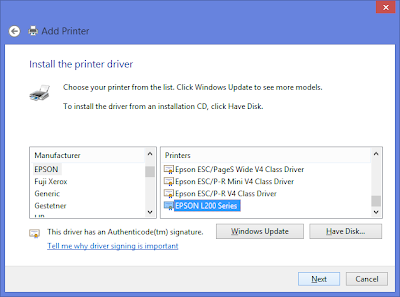 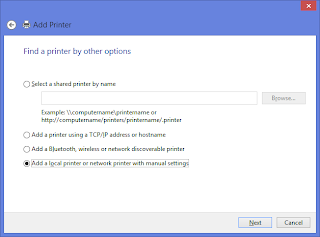 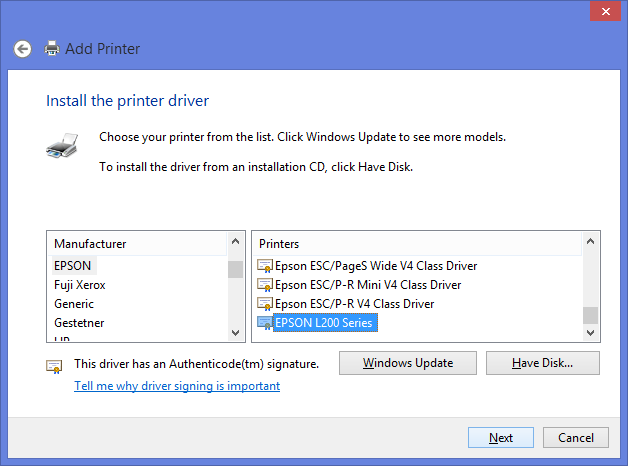 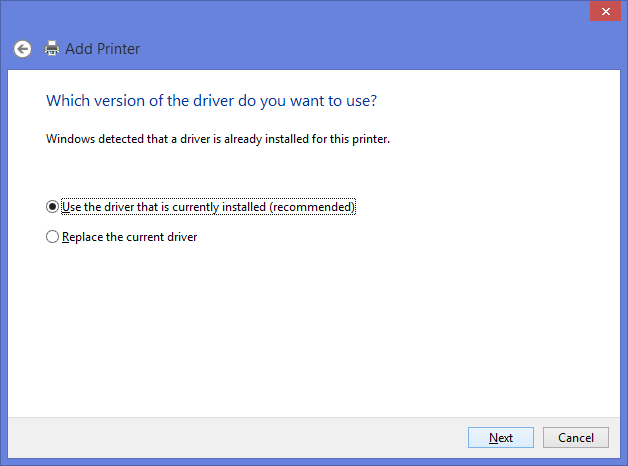 For this time I will install printer EPSON L200 on my PC which is attached to Port3 (USB 2) on Mini-300PU. 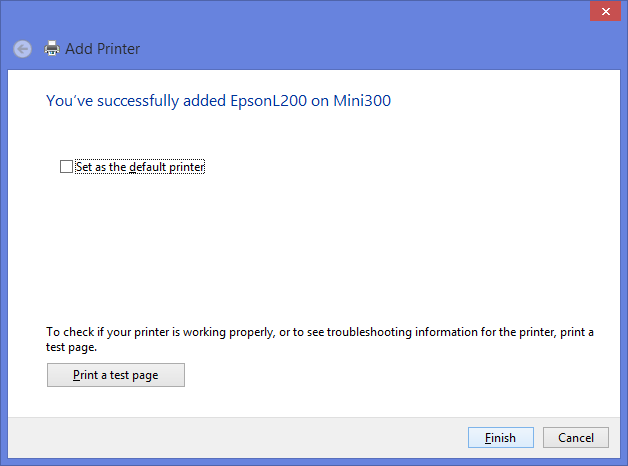 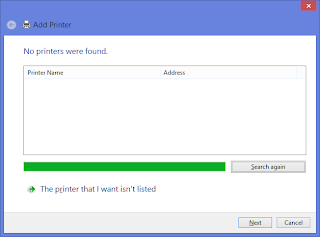 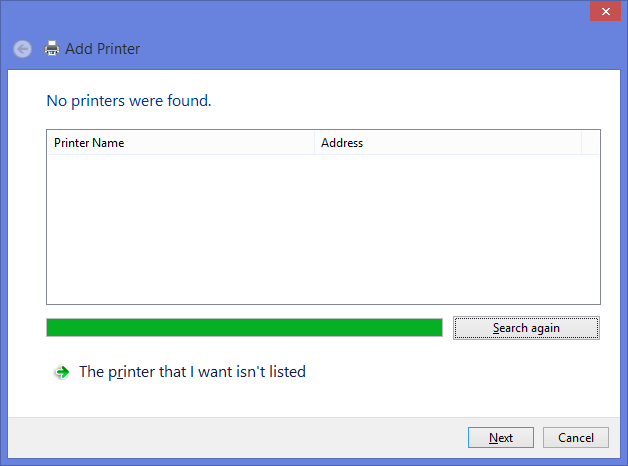 Check again at "Devices and Printers"
Make sure "EpsonL200 on Mini300" icon already in there. 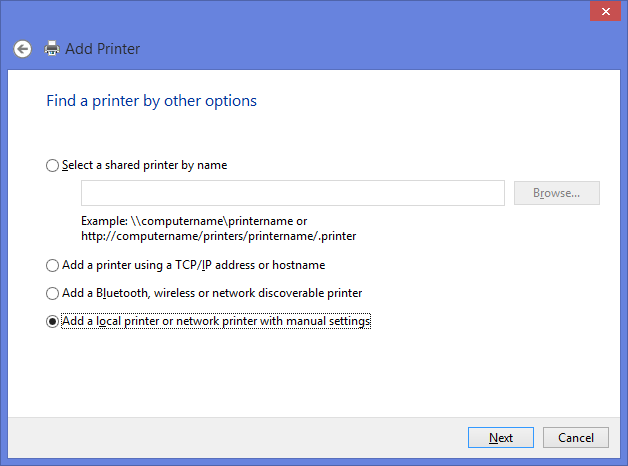 And now you can use your printer.